Author: Most, Bruce W. Set In . . .
Clients call Ruby Dark the Angel of the Outlaws. But when one of them skips on a $2 million bail bond, Ruby proves anything but an angel. Ruby Dark is a fifty-year-old red-haired Lamborghini-driving widow who took over her husband's Denver bail-bond business after his unsolved murder. Brash, with a shadowy past, Ruby is not a lady to be trifled with should you jump one of her bonds. Bayne Gibson, a wealthy radio-station owner, has made that mistake. He is charged with the murder of his inflammatory talk-show host, found dead in Gibson's penthouse pool. Ruby posts the $2 million bond, the largest of her career. But Gibson skips his preliminary hearing and disappears. 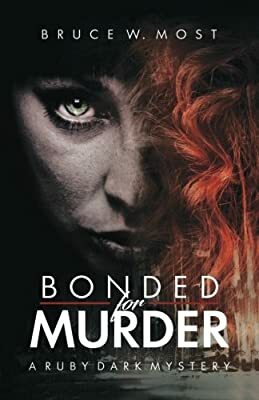 Her business on the line, Ruby goes after him with the help of her best bounty hunter and her nephew Jason, who works for her while studying night-school law.When a second murder occurs, Ruby's hunt turns personal. It's never smart to make things personal for Ruby Dark. If you love strong characters and a page-turning read this is not to be missed.